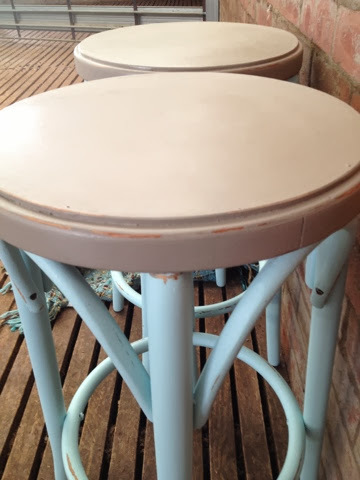 I found a pair of second hand stools with a lovely classic shape and knew they'd look great painted up. 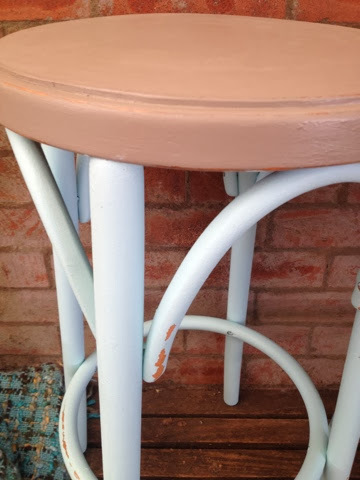 Similar to the bentwood stools I painted a few months ago, I just thought I'd try a two-tone effect. 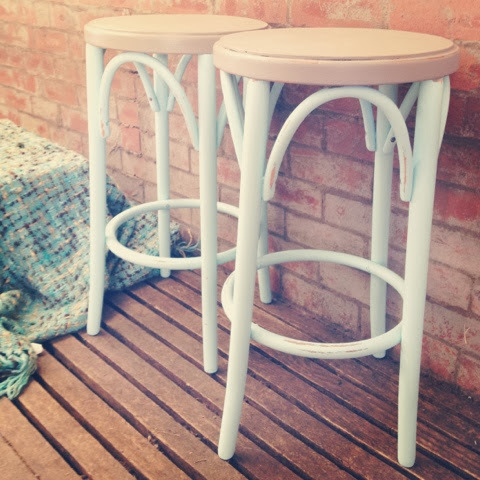 Gorgeous baby blue & latte shades have made these into a stunning, unique pair for the lovely lady who bought them. I just know she will love them for years to come! 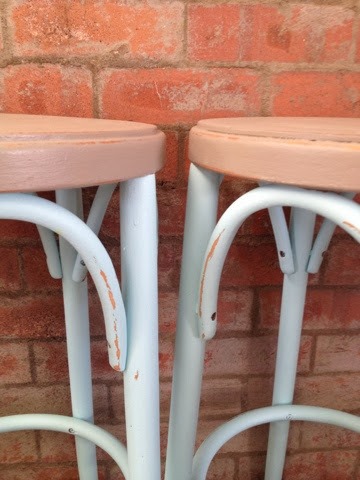 Stunning captains chair pair in graphite!